When it comes to saving for kids, there are a ton of different options out there. Should you start a separate account for them somewhere and if so where? Mrs. R2R and I have a 6-year-old daughter and we’re starting to think through this whole problem right now. Before you do anything for your kids, you need to make sure to get your own finances in order. If you have any hanging debt (other than maybe your mortgage), you need to address that first. We all want to take care of our kids, but your debt affects your own well-being and guess what? Your well-being can become your kid’s problem if you don’t get your finances in order first. Your retirement should also be a priority. Remember that your kids can get loans for school, but you can’t get loans for retirement. 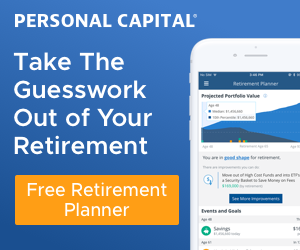 Figure out a game plan and use a retirement calculator to determine if you’re on track with where you want to be. If those items are in good shape, you’re ready to start figuring out some ways to help give your kids a head start. Mrs. R2R and I are in a position now where we have a very strong savings plan in place for ourselves and are working our way to financial independence in the next handful of years. I still dig into ways to increase our income through outlets such as real estate and blogging and to decrease our expenses where we can to help expedite that soon-to-be favorite day of mine. However, we’re now ready to start contributing a little more toward our daughter’s future. The biggest expense, of course, is likely to be college assuming that’s the route she chooses. But, even if she doesn’t, I want her to have an opportunity to not necessarily start from scratch with her finances. Please don’t get me wrong – I plan to educate my daughter financially as much as I can. She’s already pretty far on track for a 6-year-old, but continued education is something that I didn’t have the benefit of when I was younger. It took me a long time to understand that, although money definitely isn’t everything, it’s extremely important on the path to freedom. Hopefully, I’ll be able to give her a chance to understand the importance of hard work first. Then, anything that comes her way from us will be just a drop in the bucket next to the income streams she creates. 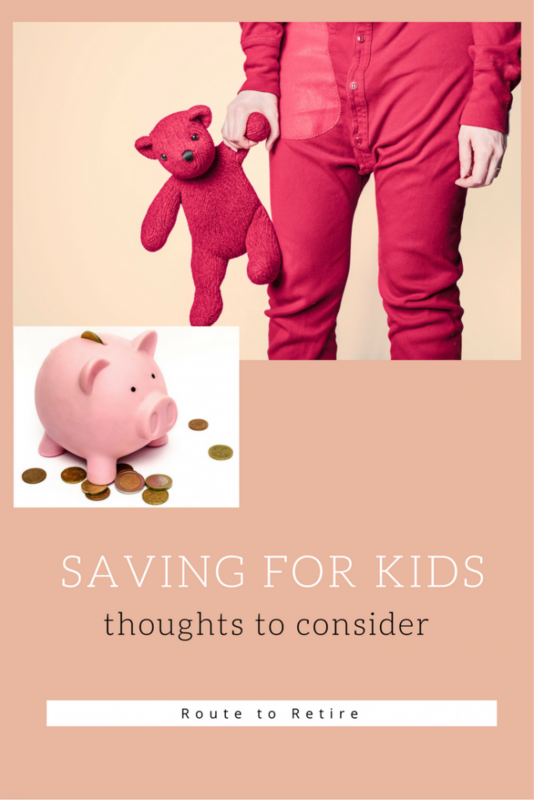 So what are some options to consider when saving for kids? This is about as basic as you can get. We already created an account for our daughter a few years ago at our credit union. It pays barely anything (currently 0.01%), but it helps to teach her how to save. We have a rule that with any money she receives – whether it be from birthdays, chores, grandparents, etc. – she has to put half of it in the bank. She only has around $300 in the account, but that’s been all from her and she’s very proud of it. Sometimes she gives me a couple extra bucks to put in there just because she has it. It’s easy and it works. She hands me half the cash she gets and I put that in my wallet and move the same amount from my checking to her savings. Simple and effective. So this has been step one for us, but that 0.01% bothers me, so it’s time to start considering some other options. A growing trend over the last handful of years revolves around online savings accounts. If you’re not familiar with these, you might be missing out! An online savings account is not your bricks and mortar type of bank. It’s an online bank that links to your checking or savings account that you have with your regular bank. In other words, you can’t just have an online savings account unless you have a bricks and mortar bank account first. All deposits and withdrawals are done through that account. So if you want to add money to your online savings account, you add money to your regular checking or savings. Then you log onto your online savings account and tell it to move money from your regular bank account into your online savings. It usually takes a couple of days to process. If you want to withdraw money, it’s the opposite process – you log onto the online account and tell it to move money back into your regular bank account. Sounds like a pain, right? Who would want to do that?!! Believe it or not, it’s not very complicated and the reason to consider it is the interest. Remember that 0.01% I was getting on my money at the credit union for my daughter’s savings account? I could be getting 1.0% with an online savings account… that’s 100 times more than my credit union!! And, the interest at some of these online accounts is compounded daily instead of monthly so that interest rate is magnified even more! We currently have an online savings account for our emergency fund that we keep with Ally. Although we call it an emergency fund, we also use it to help fund our down payments for real estate rental properties that we buy. So we usually have anywhere from $10-30k at any given time of the year. For the liquidity that we want, an online savings account is a great place to go. And you have the ability to automate scheduled transfers into the account so that simplifies the funding. Most of the banks, such as Ally are also FDIC insured just like a regular bank, so you also have some protection in place as well. So is that the right place to put your savings for kids? For us, it might be the right type of account since we’re starting out with such a small amount of money (that $300 that she has in her regular bank account). As we continue to help fund it though, that might not make the most sense. 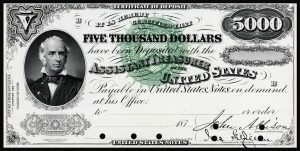 The big difference between a Certificate of Deposit (CD) and a savings account is that with a savings account you can take your money out any time you want. With a CD, you are agreeing to park your money with the bank for a set period of time. That time period can vary from a couple of days to a number of years. The longer you keep your money in there, the higher the interest rate generally is. 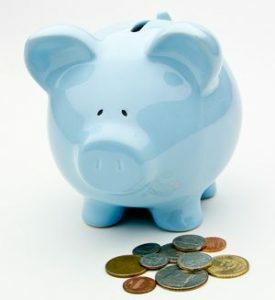 A CD is generally going to provide better rates than you would get with a savings or online savings account. It’s not going to blow you away with the rates, but they are a little better and that’s what provides some of the luster. Just be aware that if you pull out the money before the end of the term (called its maturity date), you’ll be penalized. A lot of times you give up several months of interest as the penalty, but this varies with the bank or credit union where you get the CD. Believe it or not, I have never invested in CDs before. Here’s my only reason why – when I need my money to be liquid, I stick with the online savings account. When I don’t need the money for a while, I usually invest it in the stock market with the assumption that I’ll get a much better return (though not always). 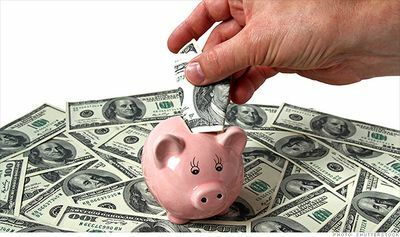 However, when saving for kids, this might not be a bad option to consider for at least some of the money to be stashed away. You’ve probably heard of 529 plans. These are education plans that are usually run by state governments or educational institutions. 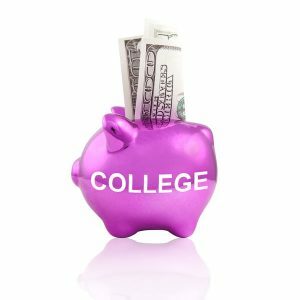 They’re designed to help you save money for your kid’s college costs and give you some tax savings for doing it. We already have a 529 plan for my daughter. However, I haven’t been contributing much into it. In fact, I’ve only been adding $125 per month into the account. It’s built up to close to $10k, but at that rate, she’s not going to be able to pay for all of her schooling with it. Could I be contributing more? Absolutely, but like I said previously, she can get loans for school, but I can’t get loans for retirement. My biggest concern is that if you don’t use the money for education, the withdrawals are subject to a 10% penalty… ouch! I’m guessing right now that my daughter would be going to college, but that’s over a decade away and I’m guessing that whole scene is going to change dramatically in that time. One of the benefits of a 529 plan though is that you control the beneficiary. So if your kid turns out to be a rotten apple, you do have the option to scratch them off. 🙂 You can also change it to be someone else and not incur a penalty. So if your child doesn’t end up going to college, but you have a struggling niece or nephew that needs it, you can make them a beneficiary instead if desired. Another consideration is that 529 plans can affect your child’s financial aid in different ways (though not usually as bad as other income). You’ll want to dig into this further before going all in on it to make sure you understand the pros and the cons and that it fits into your game plan. My thinking is that I’ll have been done working the 9-5 job a few years before my daughter starts college. So, in theory, my daughter will be able to apply for financial aid without my income getting in the way. That should help make the 529 plan hurt a little less when applying for aid. Q. Are there contribution limits? A. Yes. Contributions can not exceed the amount necessary to provide for the qualified education expenses of the beneficiary. If you contribute to a 529 plan, however, be aware that there may be gift tax consequences if your contributions, plus any other gifts, to a particular beneficiary exceed $14,000 during the year. For information on a special rule that applies to contributions to 529 plans, see the instructions for Form 709, United States Gift (and Generation-Skipping Transfer) Tax Return. When you think about saving for kids, a Roth IRA might not be the first thing that comes to mind. But starting a Roth IRA for your child might be one of the best things you can do for them. The contributions made have already been taxed so when it’s time to take the money out, it’s tax-free. And, any contributions you make can be pulled out without penalty at any time. So if you have $20k that you invested in the account over a number of years and it grows to $25k, you can still pull out the original $20k without needing to be 59½ years old. Why is this a good thing? Because you can use this type of account to help save for your child and invest in their future. And if you need the money to help them pay for college, you can pull out those contributions without penalty. On the other side of the fence though, you need to be aware that any money that gets pulled out of the Roth IRA counts as a distribution and could affect the amount of financial aid they get. So as an investment/retirement account, it’s pretty cool. But for college use, that’s a pretty big downside. What I also found out from a phone call to TD Ameritrade is that, although you can open an account for kids regardless of age at many brokerages, you can only contribute up to the child’s earned income per year. So if you have a 16-year old child who makes $5k over the summer working a part-time job, they can contribute up to that amount into their Roth IRA. In 2017, the Roth IRA contribution limit is $5,500 for the year. That is enough room to really grow if the max were contributed every year from the time they have enough earned income for it. So that might be a good option for some of you with older kids. 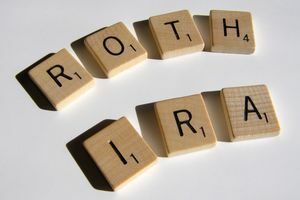 I would like to open a Roth IRA for my daughter for retirement, but it looks like that’s not going to happen anytime soon because of the earned income requirement. I’m sure there are some gray-area ways around this, but I don’t really want to go down this path. For the time being, it looks like I’m going to start with opening a Uniform Gifts to Minors Act (UGMA) online account for her with Ally. I’ll continue to enforce our policy of half of all cash she gets going into her savings. However, I’m thinking a big incentive might be that I’ll match whatever she puts in there. I’ll also try to build it up some more when I can. Once she gets to be a teenager and gets a job, I’ll re-examine if the Roth IRA still makes sense (a lot can change in 10 years!). Then we can discuss moving some or all of her savings over to it if it does. My other part of my plan is going to be to focus on building up my daughter’s 529 plan a little more aggressively… probably not anything too extraordinary, but just trying to make it a little more worthwhile. These are only a few of the ideas you can use when saving for kids, but hopefully this helps get you rolling. I’ve only touched on a few of the ideas out there. What options have you considered to help build a savings for your kids? I think you hit the high points here, Jim. I can’t think of anything else to add. I’ll continue to follow your lead since my kiddo is 3-4 years younger than your daughter! One thought I’ve had regarding the 529 though is how much I want my kids to pay for their own school. So while I may have enough saved to pay for all their college costs, I may act as a bank to them and require them to pay me a quarter or half the proceeds back so they have more skin in the game. I know it helped me paying for half of my schooling. And this may help with your thought about them getting a loan for college but you not being able to get one for retirement. Ooooh, I like that!! More skin in the game makes great sense! It’s definitely a balancing act on helping your kids, but you don’t want them to become lax because you’re giving them free handouts… awesome idea!! The one thing I might have missed in the discussion, have you considered opening a brokerage account and buying them an index fund with the money? A lot of the bigger brokerage accounts have custodial accounts where they hold the money for your kid and tie to your account like a savings account. If you have over about 1000 dollars for the kids to invest and a sizable self owned account at a brokerage I suspect you can easily get an account created with no annual fees. I’m planning on doing similar once I hit 1000 dollar for each kid. That’s a good option – especially for larger amounts! For my situation, we’re only going to start small (like $300). So, I’m thinking I’ll start with the UGMA online savings and then once it grows, look at moving it to a brokerage – either something like you’re talking about or a Roth IRA. With the Roth, I can still invest in index funds, but there won’t be any tax implications for dividend payouts and *maybe* she’ll look at that more as a retirement account than a savings account and not pull out the money for a needless reason. I think WCI has a concept called the “Daddy Match” that he uses for his kids. If they earn any income, he makes a 100% matching contribution to their Roth IRA, so they get to keep their money but still end up with a Roth balance. I don’t have kids yet, but I like that idea and think it’s probably something I’ll do in the future. I’d like to make sure my kids have several accounts for different phases of life, even if they’re not fully funded, so to be sure they understand that it’s not just about saving for one goal. So I see setting up a 529 Plan for education, a 20s fund for a house downpayment and a Roth IRA for retirement. Of course all this assumes that my finances are in order and I have excess money! Wow – I really like that idea of a “Daddy Match”!! I just told my daughter that with her new online savings account that I would match every dollar she puts in, but now I’m thinking of going with your idea and making the match go into a Roth for her. Daddy Match! That is awesome – I had never heard of that. Love it. Got me thinking for sure. And great article on the list of things to consider.. Thanks! Yeah, Biglaw’s always a good source of great ideas! 🙂 I’ve already presented the “Daddy Match” to my daughter now with her online savings account. Once she’s able to get a Roth IRA, we’re going to switch the contributions to that instead. Look at Capital One, they have a kids savings account. Their interest rates are better th an 0.01% too. I haven’t looked at the details, but keep seeing it as an option. I looked info CDs a few years ago. To get any nice return, I’d need at least 10k and to leave it for 10 years. Which was not where I was. Like you I prefer my money more liquid. Although a thing to note with CDs is a ladder concept, for example you start a 5 year one now, and in 5 years you reinvest, and repeat. The gamble is a change in rate over that time, but it gives you a chance to pull the money if at year 5 you need it. You can also stagger 3, 5 & 10 year CDs if so your money isn’t entirely untouchable. It’s just that rates right now are so low, I haven’t bothered to investigate further. Thanks, Jacq! I ended up opening her account with Ally which was easy enough, especially since we already have an account with them. Good insight on CDs – I’m with you that the rates aren’t impressive enough to warrant digging into them too deep right now.